Companies work with many different types of territories according to their industry and business activity. As such, not all companies can work with standard cartography divisions on a Country map. In many such cases, custom territories are built based on a number of grouped sub-divisions such as Counties, Zip Codes, Census Tracts or any other standard administrative division. These custom territory maps offer a powerful tool to analyze company business activity, revenue streams and incoming business based on maps that can be shared among all staff within the website or intranet. As the data displayed on the map, including color coding of areas and total values are pulled from a database, the system works in real-time updating instantly as information is changed in the tables. These custom multi-level territory projects are a great resource for companies of all sizes and the tool once built provides all of the flexibility needed to manage changed internally.We will be discussing the types of subdivisions often used to create custom territory maps and we will look at various showcase projects that are currently benefiting from interactive custom territories. The most common sub-division we work with when generating a custom territory map is 5 digit zip code or 3 digit zip code divisions. Many businesses organize their sales activities by zip codes which makes the division a logical starting point for creating custom areas. In most scenarios clients keep a list of all zip code divisions in an Excel sheet and simply assign a number next to each area to define which territory it belongs to. This is a simple approach to managing zip code 5 custom divisions internally and can be updated by anyone within the Company with access to the spreadsheet. See live example. When changes occur, there are a couple of approaches to inserting the changes to the map. The standard would be for companies to send us the spreadsheet and we would be able to run the update within 1-2 business days. The file to update would be a simple XML file that would need to substitute the previous file in the map project. For projects that need to run entirely independently from any other solutions, we can create a unifying admin tool that reads the assignment of territories from your spreadsheet and generates the divisions in a number of minutes. This custom tool is discussed in greater detail in our previous blog article. In some cases zip code divisions don’t quite fit the bill for defining territories and markets on a Country map. In this respect, our solutions are completely flexible and can adapt to your particular business model. 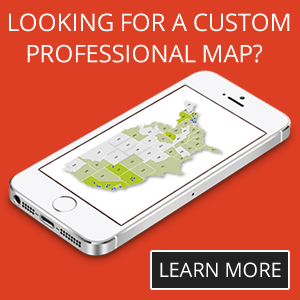 If your company organizes information based on standard administrative divisions, we would be able to combine these areas to produce any custom cartography layout. We work with administrative world divisions such as Countries, States/Provinces and Counties as well as Census Tracts, School Districts, MSA Divisions and much more within the US. You can simply organize the groupings within a single spreadsheet and send is the list to process the new cartography. See an example of a Country World map built on custom regional divisions such as the Middle East. In the US there are lots of examples of Country map territories built along industry specific divisions. For some projects it is important not only to view area based divisions, but also to display the information with reference to specific roads. This is especially relevant when maps have multiple levels of zoom and the final view has a significant level of zoom. For example showing neighborhood divisions or census tracts on a street view would be a great idea. In these instances, a custom solution can be created that combines territory overlays, generated based on your administrative divisions (such as groups of zips or Counties), with OpenStreetMap cartography. Our cartography team would take the Excel sheet with all groupings to produce the cartography as an XML file which would then be integrated as a semi-transparent and selectable overlays on any OSM map. See a great example created for a realtor in Edmonton with neighborhood divisions. Most of the complex Country map projects we work on include a database on the back end and our engineers can connect to any ODBC compatible database including MySQL, SQL Server, MS Access, Oracle etc We can also create maps that receive information from XML feeds or even just static XML files which work great for maps built with SharePoint. 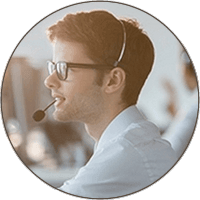 In all of these instances, the data that drives the map is stored on the end-client servers and would be editable in an XML file or in a database table. For projects where direct access to the data is restricted or information needs to be updated by multiple parties, we can generate any number of admin (blog article) tools to interface with the database fields and easily update content through an HTML page. The actual divisions can also be managed through an admin tool that stores selections on the map and then processes the updates through a custom back office system references above and described in the following blog article. These maps are especially impressive as they combine a front facing map with all custom divisions along with a username and password protected section to manage the data and divisions projected on the same map. See an example of a similar solution. We encourage that you contact us directly to see additional examples of custom territory maps that we generated for numerous clients. We look forward to mapping your next project together. 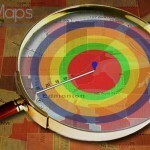 Share the post "Better Analyze Business with Custom Territories on a Country Map"